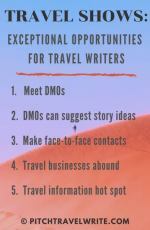 Experts and editors tell beginning travel writers to write front-of-book pieces (FOB) to get your foot in the door to a magazine. They say it helps you prove yourself. Later, when you’re more experienced, you can progress to pitching and writing features. In my ten years’ travel writing, I’ve heard countless complaints from novices about how they can’t break out from writing short FOB articles. They’re trapped on the FOB treadmill, and can’t break into higher paying assignments and magazines. Worse off than the FOB writers, are the travel writers who give away their work, writing for other people’s websites. I’m constantly surprised at how many talented travel writers never move past this and into paying print markets. I was lucky. I started pitching feature stories right from Day One of my freelance writing career. But, that’s not the way it’s supposed to work! Ironically, after I became more established as a writer, several editors started asking me to write short front-of-book assignments. They needed these articles quickly and knew I could be trusted to write them well, in a short time. Although flattered, I soon found these short pieces were killing my time. I didn’t have enough hours left to write the longer, better paying feature stories that I prefer. So, I politely declined front-of-book offers as they came in, and went back to feature writing. This was an important freelance writing lesson. To make a living in this game, you can’t waste time on the small stuff. Go where the money is. And feature writing pays much better than short pieces. Transitioning into higher paying magazines and feature writing can take some time. You’re trying to generate a snowball effect where the more bylines you have, the easier it becomes. Higher paying magazines tend to use well-published writers, and we all know there’s no shortcut to this. #1. Stop Writing for Free! Stop writing for magazines and websites that don’t pay. You don’t have to burn your bridges with them. These assignments could come in handy later for getting complimentary travel assistance. But for right now, non-paying magazines and websites are taking up the valuable time that you need to use to target higher paying magazines. The time you spend writing freebies for travel websites is time you could be tracking down new and more prestigious magazines that pay better. Free yourself from those time-consuming free (or low-paying) pieces. Devote your time to pitching features and higher paying publications. 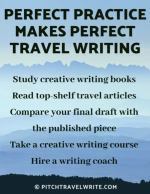 A new perspective is needed for travel writers who’ve been slaving away on low paying FOBs and non-paying magazines and websites. I suspect that a lot of talented freelance writers have been ready to step up to feature writing and pitch the higher paying publications for a considerable time. The only thing holding them back is their own mind. This lack of confidence is understandable. When you move up the freelance writing totem pole, you’re venturing beyond your comfort zone and you’re constantly wondering if you’re up to the task. Evaluate your attitude. If your portfolio is robust, then you’re ready. Do it. Have you amassed a reasonable portfolio of bylines in a variety of print magazines? If your published credits are still sparse, keep pitching stories to any magazines that will boost your journalist profile. Is your writing up to snuff? Editors paying 50c/word or more expect quality writing, and they won’t accept anything less. Their reputation is on the line. Do an honest self-assessment of your writing and your bylines before you move up. If your writing is not up-to-snuff, then get some feedback and coaching from an expert. Also understand that if you want to move up the freelance writing pyramid, you must be open to rewriting your stories upon request by editors. When you move into the big leagues, you’ll come across editors who are very particular about what they want and how they want it written. They won’t hesitate to ask you to rewrite part, or all, of your article, or even write it from a different angle. Give the editor whatever he or she wants. There’s no point in fighting this or letting your ego get in the way. The editor will drop you like a hot potato and find another writer who is easier to work with and more receptive. #5. Boost Your Bylines Quickly. Query ALL magazines that you think are appropriate for your stories. This is called simultaneous submissions. By using simultaneous submissions, it’s likely that you’ll find one or two editors interested in buying your story. #6. Pitch Editors Who Know You. 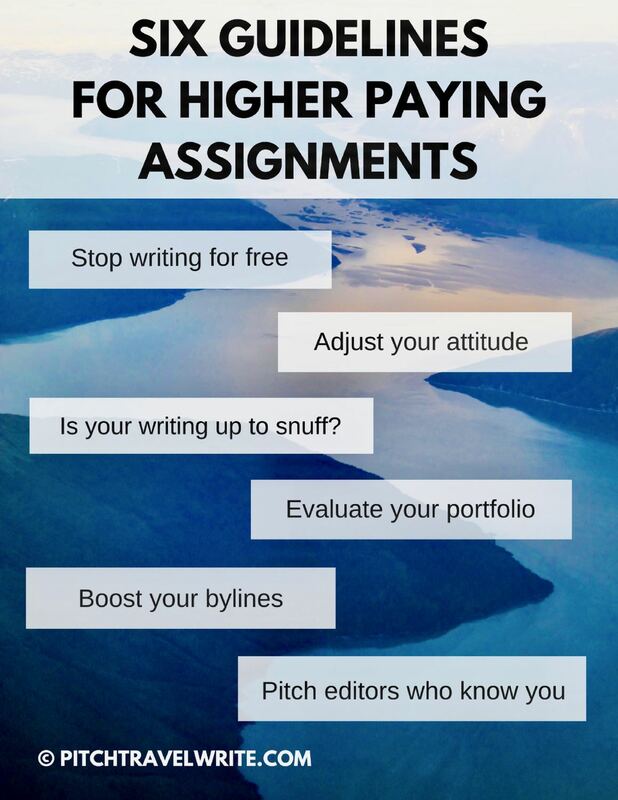 Once you start getting assignments from editors of higher paying, quality magazines, make sure you keep pitching those editors more stories. Using this strategy, I’ve landed extra assignments from more than half of my editors. You’ll find that assignments are much easier to land with editors who know you and your work. With persistence, you’ll eventually become one of the editor’s “go to” writing stable. There are a few other indicators that you’re ready to graduate to feature writing and higher paying magazines. Are you recognized as a well-published writer by your peers? Do you write in several genres? If so, you have a better chance of getting published. Is your LinkedIn portfolio up to date so editors can easily find you? A writer’s website or Facebook page serves the same purpose if done professionally. Use these guidelines to break out of the non- and low-paying writing markets. Remember, a lot of your doubts are simply that, doubts. The travel writers I coach end up getting published in very respectable print magazines - much to their surprise. All it takes is your willingness to “try it”. 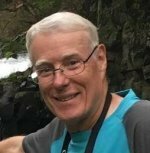 Writing FOB Articles - Are They Worth It?